Be the sunshine of anyone’s eyes dressed in such a purple rayon kurti. 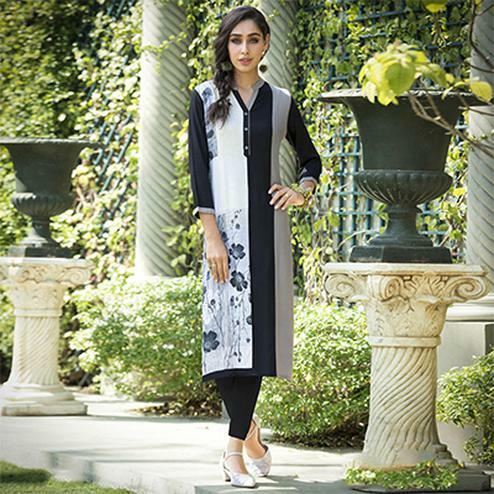 The wonderful plain work across the attire is awe inspiring. 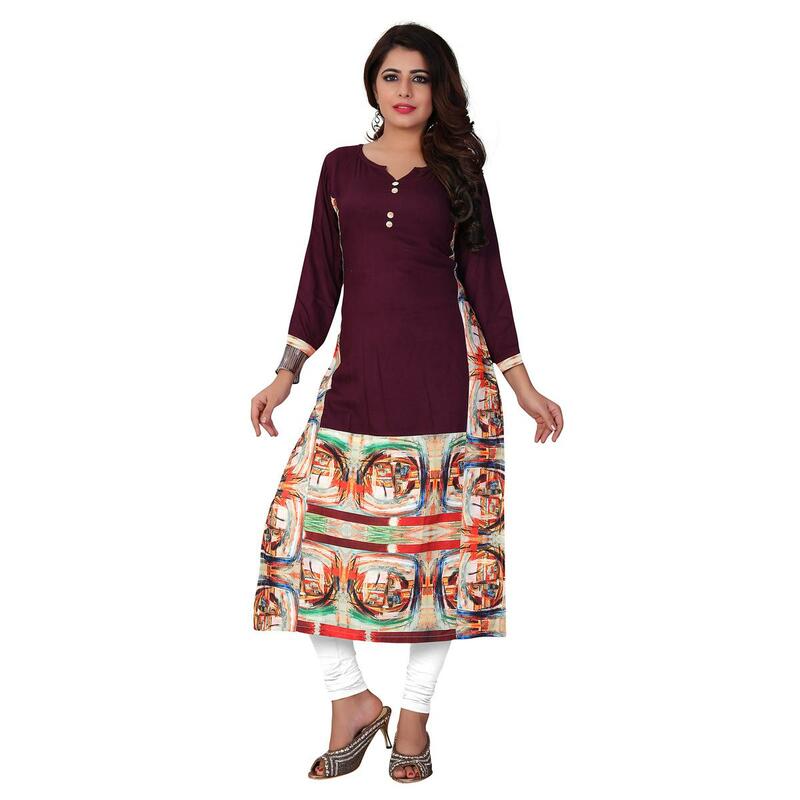 This kurti is stitched with round neck style with slight V cut,three quarter sleeves and half kurti is done by digital prints. 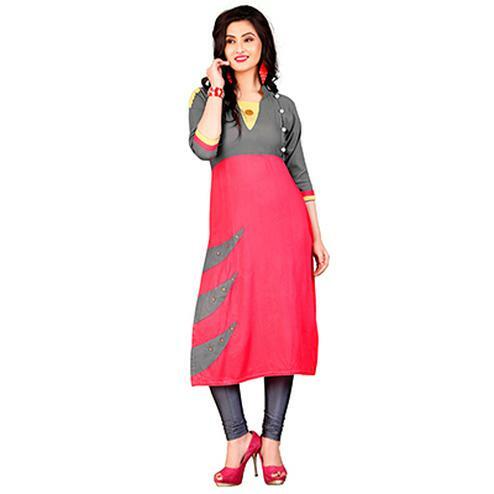 This ready to wear kurti is perfect for casual and regular purpose once it has been paired with leggings.